Mrs. Claybrooks is a native of Louisville, Kentucky. She is a graduate of Middleton High School in Tampa, Florida. Mrs.Claybrooks started her professional career in funeral services in Newark, Jersey at Emmitt Lewis Home for funerals. In 1978 after moving back to Louisville, she began working at GC Williams Funeral Home. In 1982, she became a licensed funeral director in the State of Kentucky. 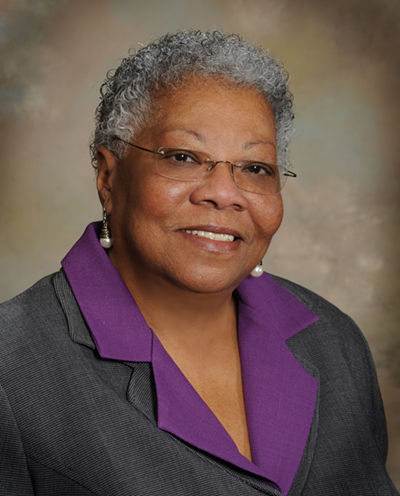 Mrs.Claybrooks is a member of Pleasant View Baptist Church, a life member of the Urban League (Louisville Chapter), and a member of the NAACP. She is a member of the Kentucky Association of Morticians, Inc. and the Kentucky Women’s Auxiliary. Mrs. Claybrooks has served this community for over 30 years.